This talk will be a practical introduction to the algorithms at the intersection of biology and machine learning: genetic algorithms (GA). A healthy portion of the talk will cover the history of genetic algorithms, a visual overview of how the algorithm works, and a discussion of the various parameters that needed to be tuned. The rest of the talk will cover an implementation of a GA used to create seating assignments in one row of seating at a conference room and the pros and cons of these algorithms based on the results of this use case. This talk is aimed at data scientists, computer science researchers, and machine learning practitioners looking to learn something new about a topic they may have heard about, and to those interested in learning about an interesting algorithm in the field of machine learning. 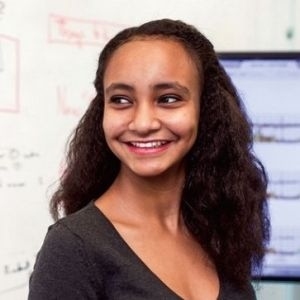 Safia Abdalla is the co-organizer of PyLadies Chicago, where she teaches classes on data analytics and brings in interesting individuals as panelists and speakers. She is also the Lead of Mentorship and Volunteer Initiatives at ChickTech Chicago, where she brings dedicated and passionate technologists to eager high school girls. She founded dsfa, an agency dedicated to uplifting small businesses and community organizations with data science. She's excited about intelligent interfaces, data science for social good, open source, and coffee. While there may be light refreshments available, feel free to "brown bag" it and bring in food from the outside to eat during the social hour.